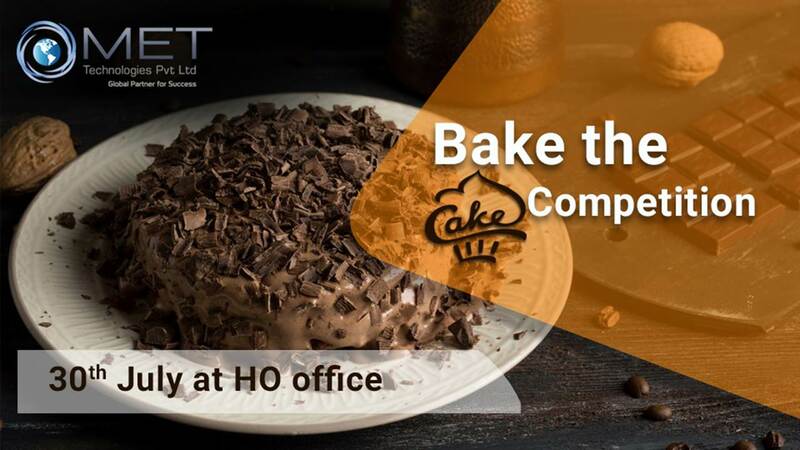 MET Technologies arranged for a cake baking competition for all the employees on 30th July at the Head Office. The employees geared up to showcase their baking skills as well as skills of decorating the cakes. Each department was demarcated as a group thus making it easier for them to decorate and bake cakes that were customised in various forms and flavours. Let’s take on an exotic journey with the employee’s cake creation and baking Skills shuffling through the pictures in the gallery. Entry to the Cake competition was Free, and the prize was awarded for the Best in Show. The winners were decided under the judgement of managing authorities at Met Technologies. The cakes were displayed for all the employees, management and others, associated with MET, in the Cafeteria of the head office at Godrej Waterside building for all the other employees to taste and witness the magic of baking!